Belts and hoses play key roles in many major systems on your vehicle, including the engine cooling system, air conditioning, alternator, radiator, heater core, and more. Because they’re constantly exposed to heat, vibrations, chemicals, and stress from normal driving, belts and hoses have some of the shortest lifespans of any component on your car. Routine inspection and replacement of your hardworking belts and hoses will keep your engine running properly and your car driving smoothly and efficiently. You need a trusted partner to keep your hoses and belts in top condition so you can truly rely on your vehicle. Action Gator Tire is your go-to auto repair shop in the Central and South Florida areas. Our teams of ASE-certified mechanics have the training, skill, and experience needed to inspect, service, and replace all of the various belts and hoses under your car’s hood. We’ll also keep an eye on the pulleys and bearings that keep your belts tight and moving freely. With our help, you’ll keep your engine and key systems running properly while ensuring you avoid the need for bigger, more expensive repairs that could be caused by belt or hose failure. Your car’s heater takes excess heat generated by your engine and uses it to heat your cabin. When hot liquid coolant exits your engine, it’s carried to your heater core and then back to the cooling system by small heater hoses. Because they withstand high temperatures, vibrations, and corrosive coolant, heater hoses eventually wear out and fail over time. Action Gator Tire has the expertise needed to inspect your heater hoses and replace them, as needed to ensure your heater works properly and isn’t leaking coolant. Your vehicle’s radiator is critical to keeping your engine from overheating. It’s connected to your engine using hoses that carry the hot coolant away from the engine, to the radiator, and then back to the engine at a much lower temperature. Over time, heat, vibration, and corrosive coolant will deteriorate your radiator hoses, causing cracks, bulges, hardening, coolant leaks, and worse. 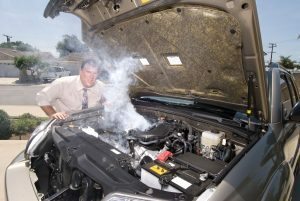 If your car is overheating or leaking a lot of coolant, bring it to Action Gator for an expert inspection and quality radiator hose replacement services. 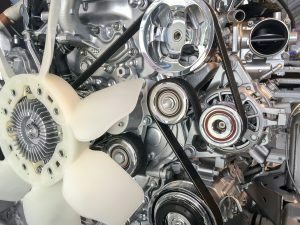 The serpentine belt pulls power from your engine to power everything from your power steering, water pump, cooling fan, air conditioning compressor, alternator, and more. These are relatively long belts that are named for the snake-like path they wind through your engine bay. While they’re tough and designed to last years, serpentine belts will eventually wear out, so it’s important to inspect them regularly to avoid being stranded. With Action Gator Tire, you have a trusted local mechanic who’s happy to inspect your serpentine belt and replace it when the time comes. Your vehicle either uses a timing belt or timing chain to sync the rotation of your engine’s crankshaft and camshaft. It’s a critical component, and any problem will disrupt the opening and closing of your engine’s valves, resulting in failure and the potential for expensive damage. Action Gator Tire is here to help you avoid major engine problems with our expert timing belt replacement services. We have the experience and know-how needed to replace your timing belt and synchronize your crankshaft and camshaft for an efficient, powerful, smooth-running engine.